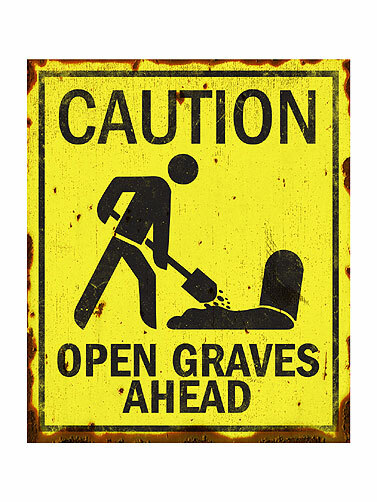 This caution sign warns that there are "Open Graves Ahead," and looks like something from a real cemetery. Sure to add some realism to your Halloween graveyard display. Lightweight, made from vacuum formed plastic. Caution Open Graves Ahead Sign measures 19"H x 16"W.